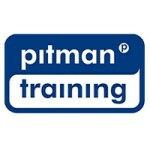 Pitman Training Centre Waterford runs full-time, part-time and distance learning courses in and helps people to upskill for the careers they want. As part of Ireland’s largest network of training centres, the Waterford centre is the latest in Ireland’s most successful training organisation. Opened in 2014, we have had outstanding results educating students for different roles and providing them with industry standard qualifications. Our centre team in Waterford have extensive experience in recruiting both nationally and internationally across a variety of roles including IT technical, secretarial and accounting positions. We now offer over 450 individual career focussed and flexi-training courses from our Waterford Training centre, ranging from Medical and Legal Secretarial to Management, HR and industry recognised Web, Graphics and IT programmes.